Early reports indicate that one individual was lying on the ground. At the time of this report, it is uncertain whether the person was thrown from the vehicle or managed to get out on their own. An ambulance was called by early responders to transport the person to a medical facility for evaluation and treatment. At this time, the individuals involved in the crash have not been identified. Overall, 40 percent of all crashes happen at intersections with 2.5 million such accidents occurring annually. In addition, 20 percent of all fatal accidents also occur in intersections. This is no surprise since multiple lanes of traffic meet at intersections. The use of traffic control measures such as lights and signs relies on a driver to exercise good judgment. Unfortunately, many drivers are reckless and proceed out of turn. This leads to an assortment of intersection accidents. In addition, older drivers have a greater problem navigating intersections than younger ones do. Approximately, 33 percent of older drivers are killed in a major intersection accident. After the age of 80, the percentage of fatalities increases to 50 percent. Rear end crashes: This type of crash is one of the most common. It usually happens because the driver to the rear is unaware the lead driver has come to a stop. In most cases, the rear driver was distracted. 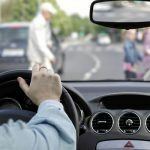 Sideswipe collisions: Generally, sideswipe collisions occur when one of the drivers moves into an adjacent lane without checking to see if another vehicle is already there or approaching. This amounts to reckless driving. Oncoming vehicle collision: When two vehicles are approaching the intersection from opposing directions, this type of collision can occur. It often involves one driver who is making a left turn against traffic. T-bone collisions: This occurs when one driver is passing across traffic from a lane that is perpendicular to the other. On many occasions, a driver on the main road is speeding to beat a light. Almost 165,000 accidents each year are caused by drivers who run a red light. These accidents have a high percentage of deaths associated with them. 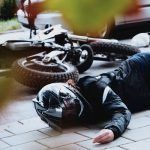 Accidents involving pedestrians or cyclists: A major intersection accident can involve not just other vehicles but pedestrians and cyclists. Many times, drivers are not on the lookout for either group. Many pedestrian and bicyclist accidents occur when a vehicle is turning at the intersection. Determining who is at fault in an intersection accident is sometimes a complex undertaking. In order to succeed in a claim against another driver, it is important to have a seasoned injury lawyer. One of the first hurdles is proving negligence. This is done in part by examining the crash site to get a clear picture of how the accident happened. If certain behaviors such as texting on a cell phone are believed to be involved, a personal injury lawyer can help resolve this. For example, your attorney can obtain the call records from the defendant’s carrier to see exactly when they were using the phone and for how long. 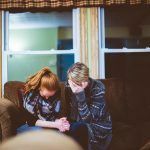 It has been shown that having legal representation increases the amount of compensation the plaintiff receives. I’m Ed Smith, a Citrus Heights car accident lawyer. 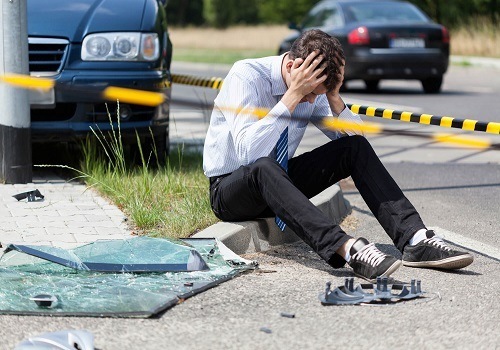 If you are hurt in a major intersection accident, you need the help an attorney can provide. Give me a call at (916) 921-6400 for free and friendly advice. You can also reach me at (800) 404-5400 or online at AutoAccident.com. 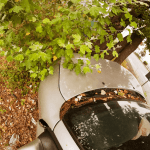 I’ve helped many residents of Citrus Heights obtain the compensation they deserve in all types of car accidents, traumatic brain injury, pedestrian crashes and wrongful deaths. I am a long-standing member of the Million Dollar Advocates. We are a forum of trial lawyers who have won more than $1 million for a client.